You will need to locate this amazing Tai O Salted Fish Sauce. 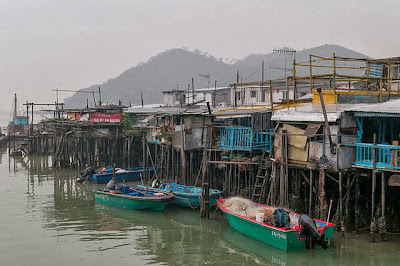 It is made by a local Hong Kong company called Lo Yau Kee Tai O, or translated as "Old Friend Tai O". It's made in Hong Kong! Or more precisely in Tai O, or 大澳, which is probably the most picturesque corner of Hong Kong, a little fishing village where all the fishermen's houses are still built on stilts over the water. We have tried the Lo Yau Kee Shrimp Paste by making Steamed Shrimp Paste Squid and this Salted Fish Sauce. Both condiments are very tasty and even better, have no preservatives nor artificial flavors. 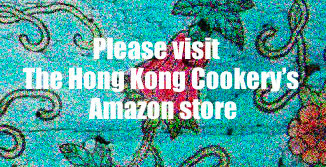 Check out the Lo Yau Kee website to find out where in Hong Kong to buy their stuff. There's actually a lot of great local food stuffs around but you have to dig for them as I think they get snubbed by the super grocery chains. Just to remind you these are seriously tasty little pork patties so remember to prepare a lot of steamed rice for you and your family to dig into! Mix the pork with wine, soy sauce, salt, sugar, sesame and peanut oil, stirring in one direction only. Let marinade for 10-15 minutes. Slowly add water to the pork, stirring in one direction only, until the mixture in almost pourable (paste-like) but still firm enough to hold a shape. This may require more and less than 1/2 cup water and you will need to stir vigorously for a couple of minutes. Add cornstarch to lock in moisture, again stirring in one direction only. Add salted fish sauce and stir, again in the same direction. Heat a deep sided frying pan or wok (the oil will splatter a bit) to medium heat. Add 1 tbsp oil. If making patties, quickly form meat patties with hands and place carefully into pan, pressing down with a spatula immediately to flatten. If making one large patty quickly slide the meat into your pan and press to flatten with spatula. Be careful of oil splatters. Cook until golden brown and then flip over, cooking another 2-3 minutes or until golden brown. Remove at once. Serve in bed of chopped cilantro with lots of steamed rice.